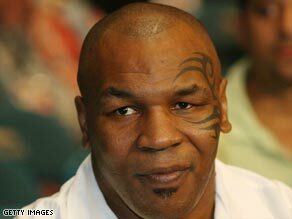 The 4-year-old daughter of boxing legend Mike Tyson died Tuesday, a day after she was injured in a treadmill accident at her home, police in Phoenix, Arizona, said. Exodus Tyson was prounounced dead at 11:45 a.m. local time Tuesday, said Sgt. Andy Hill, a Phoenix police spokesman. He gave no other details. The girl was found by her 7-year-old brother on a treadmill in the Phoenix home Monday “with her neck on … a cable” attached to the machine, police said in an earlier statement. The mother “took her daughter off the cable” and called authorities, and Exodus was taken to a hospital, according to police. Former world heavyweight champion Tyson traveled from Las Vegas, Nevada, to Phoenix where his daughter was on life support in critical condition on Monday, police said. Neighbors react to news » The 42-year-old Brooklyn-born Tyson became the youngest world heavyweight champion in history when he lifted the World Boxing Council title aged 20. Tyson also won the WBA and IBF versions of the crown during a career that was littered with controversy including disqualification for biting Evander Holyfield’s ear during a 1997 title rematch. He retired from the sport in 2005, but was back in the news this month with the U.S. release of the film “Tyson,” a documentary that premiered at the Cannes Film Festival last year.